We will take care of everything and in the end your home or office will shine like a brand new one. Our Westlake Village Residential Carpet Cleaning is a residential carpet cleaning service along with many other kinds of services. Our company has many services to offer with regards to tile cleaning. 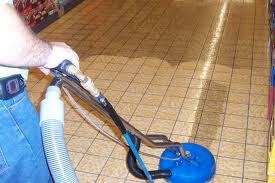 We have got different packages from residential tile cleaning to commercial tile cleaning. When you move into a new home, there are so many new responsibilities that it may be hard to remember that one of those should be taking care of your floor coverings. Indoor carpeting is one of the most costly items in your home. You definitely do not want to spend thousands of dollars having it replaced. Like any investment, if you take care of it, it will take care of you. Here are three benefits of having professional carpet cleaning. There are numerous allergens within the confines of any home. They come from all types of sources including pet dander, pollen, and dust mite excretion. 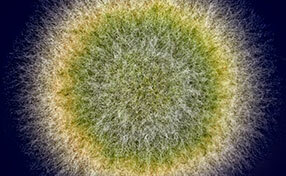 All allergens will produce some sort of immune response by the human body. Continually breathing in allergens trapped in carpet fibers can lead to respiratory problems. A carpet cleaning service can help to reduce the amount of allergens inside of a home. With all of the things in your indoor air, you may have certain smells within your home that are not pleasant. If you live in a humid area, moisture can get into the fibers of your carpet and lead to mold growth. The smells produced, not to mention just breathing in those allergens, are not very nice. Carpet cleaning will get rid of pollutants, mold, and anything in your floor coverings that may be leading to foul smells in your home. Some homes tend to be prone to sickness more than others. In the winter time when the windows and doors are shut, the indoor air is filled with everything from pet dander to dust mites. The constant breathing in of these pollutants and allergens is not good for anyone’s health. If you have children, one of the leading causes of asthma is the quality of indoor air. Cleaning carpets will remove the pollutants from a home’s air and help those with any respiratory problems.